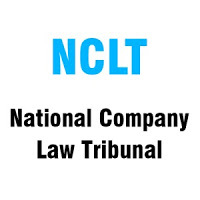 NCLT Jobs Recruitment Notification 2018.National Company Law Tribunal of Delhi inviting applications for the positions of Technical Members.Interested and Eligible candidates can apply for the positions. Maximum upper age limit for contender not apply is 50 years. Applicants are not eligible to apply if they have 15 years experience as member of Indian Corporate law service or practice as a CA or Cost accountant for 15 years. 24th September 2018 is the last date for applicants to apply through online for NCLT recruitment. https://nclt.gov.in/ is the link for applicants to apply directly and send the hard copy of application form at below given address. Ministry of corporate affairs, 5th Floor, ‘A’ wing, Shastri Bhawan, New Delhi-110001.